It sounds too good to be true, but playing a round of golf can add years to your life. Why? Think about it: a round of golf takes about 5 hours to play. During the entire round, the golfer is outside, walking, taking in the sun and burning calories. In fact, 18 holes of golf burn 306 calories per hour if you carry your own clubs. If you use a pull-cart for your bag: 292 calories per hours; and if you ride in a golf cart: 238 calories per hour. Could all of this add up to a longer, healthier life? The Swedish Golf Federation has more than 600,000 members. Membership is required for playing almost everywhere in Sweden, so the list contains almost all of Sweden’s golfers. Sweden also maintains a record of all of the deaths that have occurred in Sweden for the past several decades. Researchers were able to pull information from both databases to study the impact golf may or may not have on mortality. They compared golfers and non-golfers and found that golfers were 40 percent less likely to have died than non-golfers of the same age. Not only is golfing, in general, good for your life expectancy, but the more a person golfs, the greater the increase in their overall health. When golfers' handicaps were added to the equation, golfers with the lowest handicaps —indicating a better golfer who, in theory, plays more— had greater reductions in their risk of death. People with certain illnesses and certain health conditions cannot golf, therefore golfers only include healthy people. People who golf are wealthier on average than people who don’t golf, indicating better health. 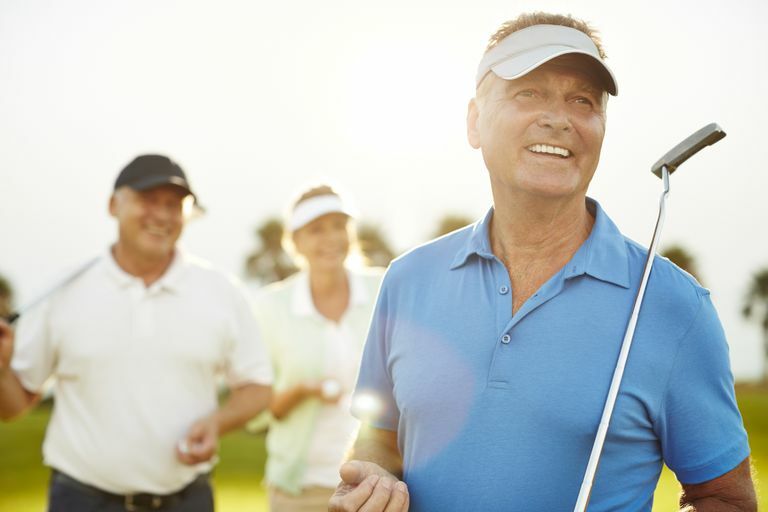 In addition to exercise, there may be stress-relieving benefits related to being outside, as well as social benefits related to golfing with friends and colleagues. Follow a strict, no-cart policy. That means walk, if you can. You’ll burn a lot more calories. Carry your clubs. If you are able to, carry your own clubs. You’ll build strength and endurance while burning even more calories. Improve your game. The more you golf, the better your longevity, according to the study. Work on lowering your handicap and get out and golf as often as you can. Beware the clubhouse. One false move at the clubhouse and you can erase all the benefits of your round. Beware of beers, hamburgers, and other clubhouse junk food that will just put all the calories you burned back into your body. B. Farahmand, G. Broman, U. de Faire, D. Vågerö, A. Ahlbom (2008) Golf: A Game of Life and Death - Reduced Mortality in Swedish Golf Players. Scandinavian Journal of Medicine and Science in Sports.